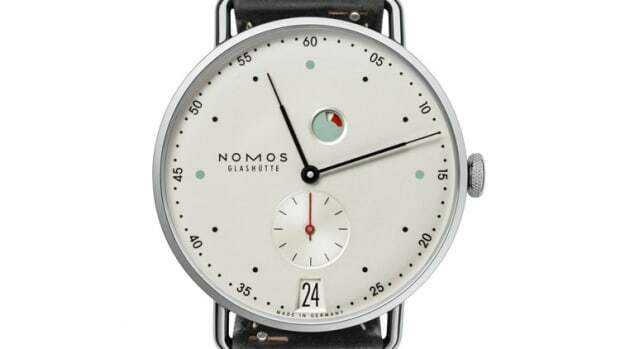 For the upcoming 100th anniversary of the Bauhaus art & design school in Germany, Nomos is releasing nine of its watches in a new limited edition. 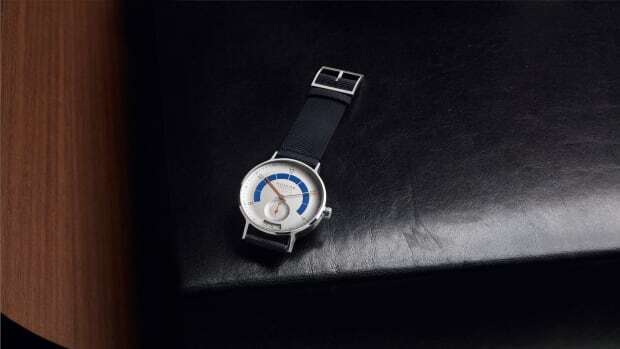 The watches will each feature a "sketch paper" dial that is accented with one of the three primary colors that encircles the minute track of the watch. 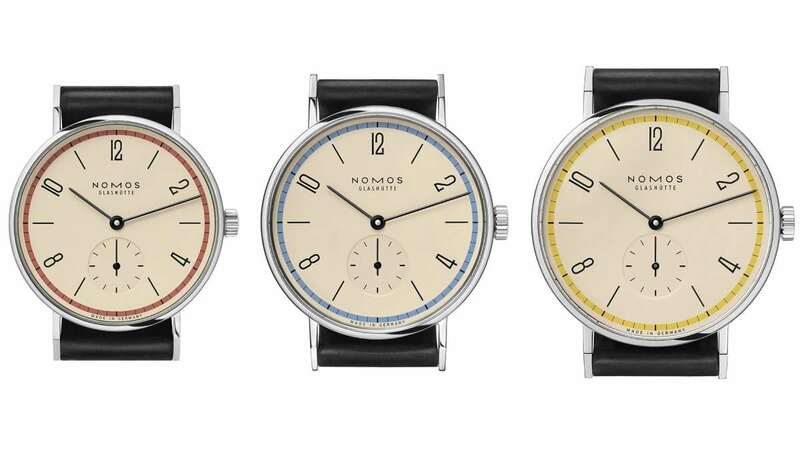 For the Tangente models above, the watches will be available in 33mm, 35mm, and 38mm, each featuring stainless steel cases and a black Horween Shell Cordovan leather strap. 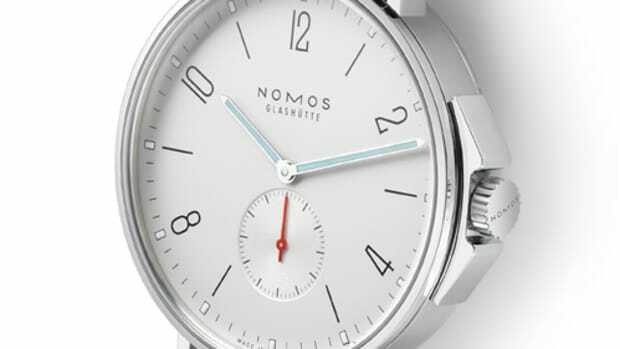 Each watch will be limited to 100 pieces.